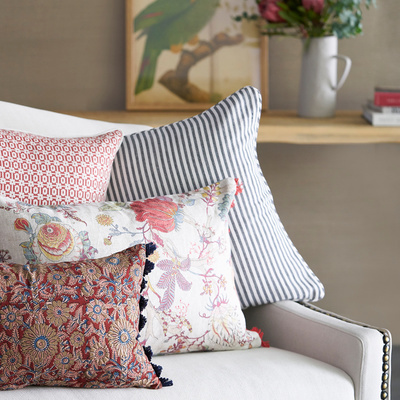 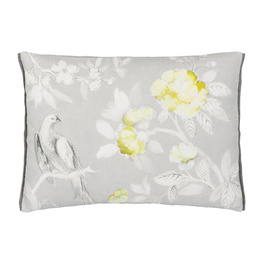 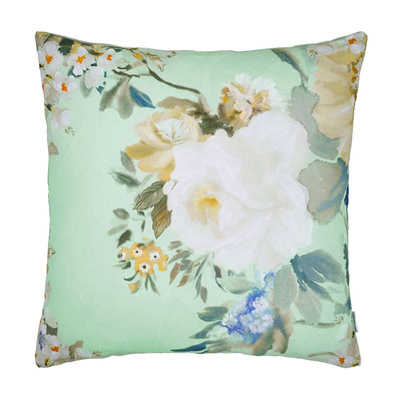 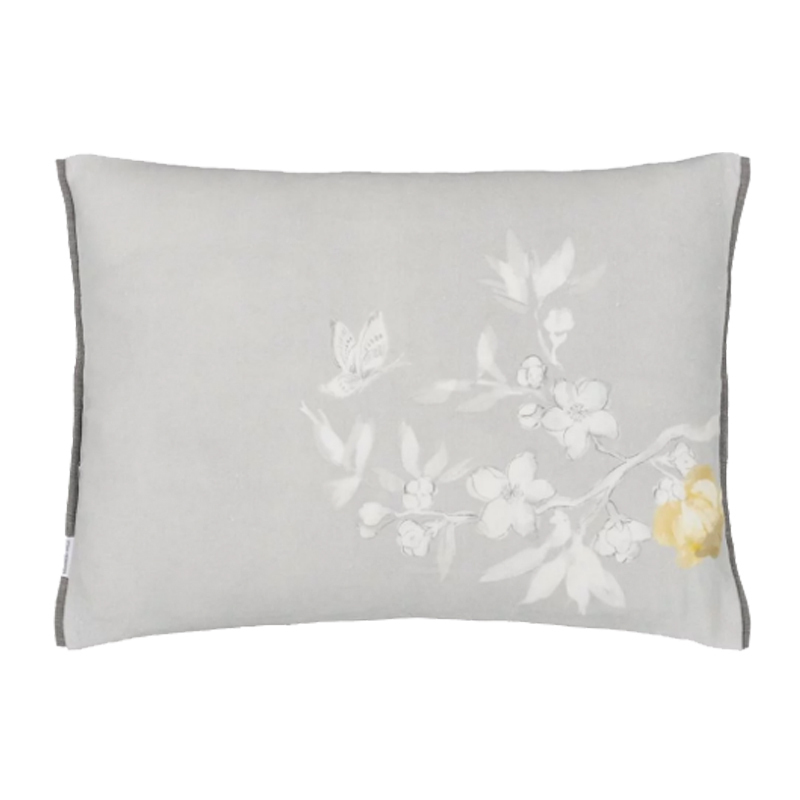 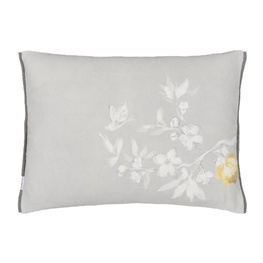 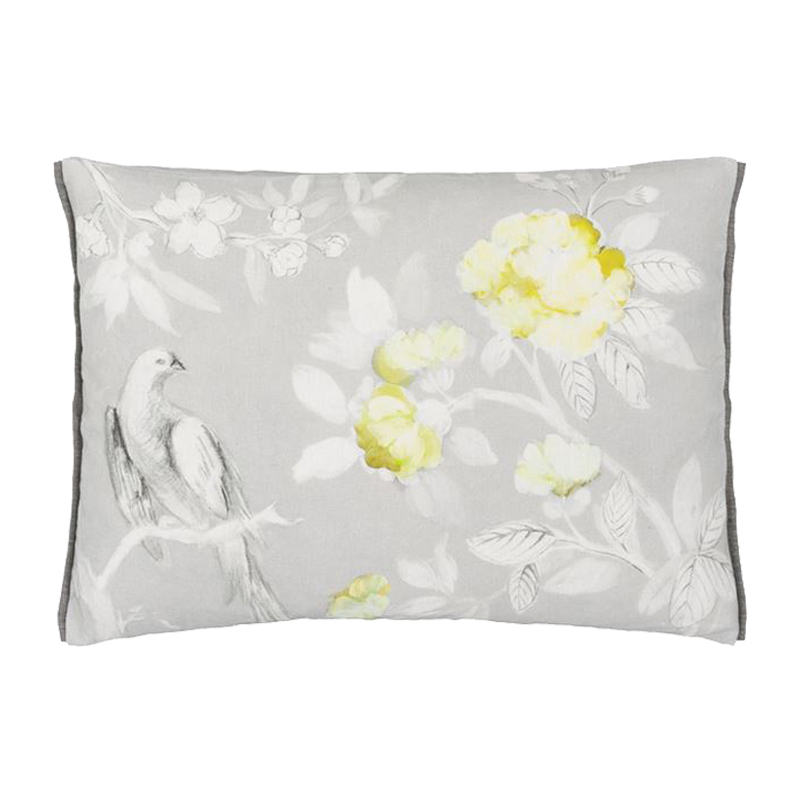 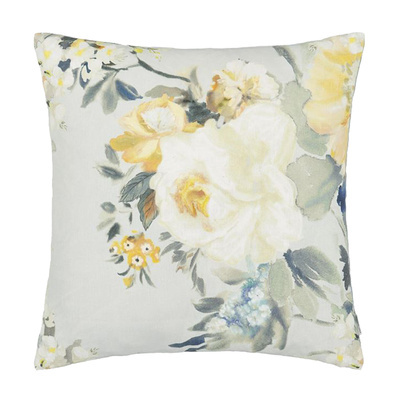 This elegant cushion features soft chalky white flowers and foliage with an elegant bird detailed with pencil drawn highlights and washes of colour. 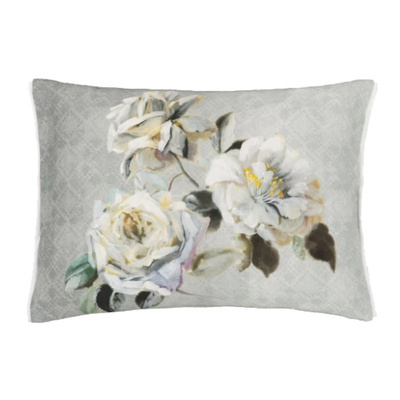 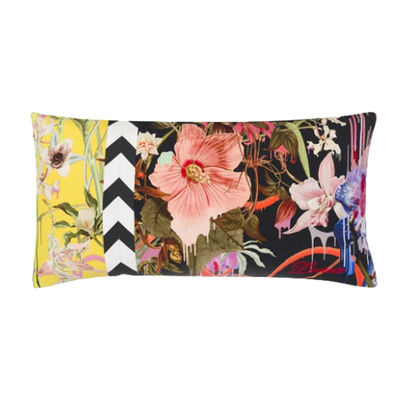 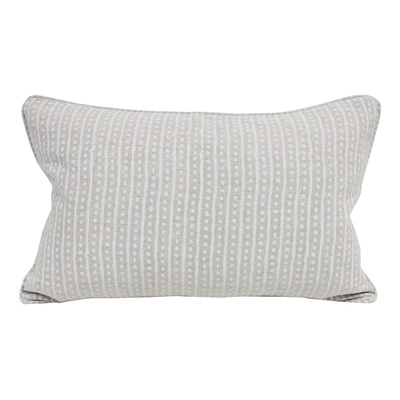 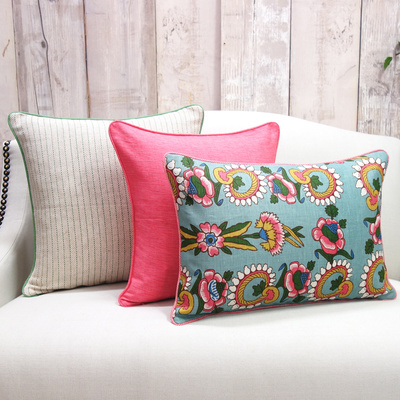 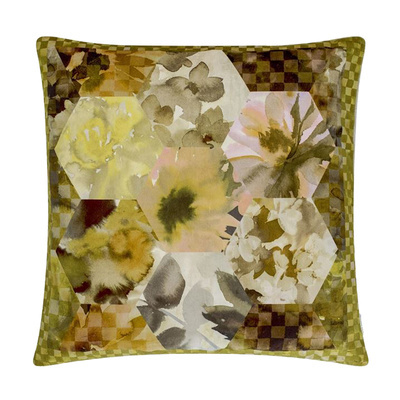 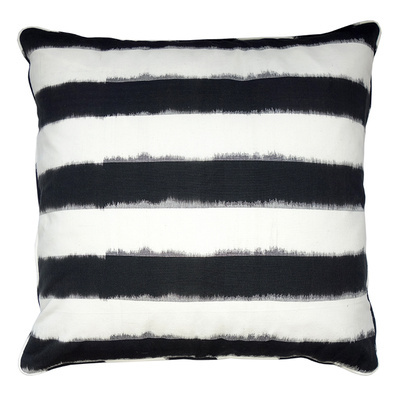 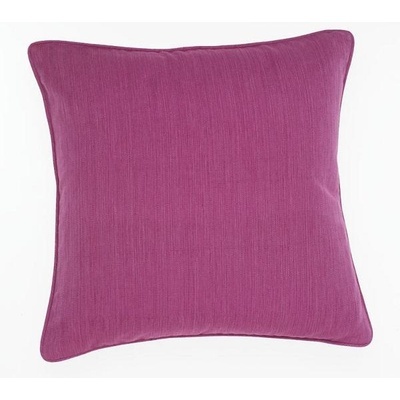 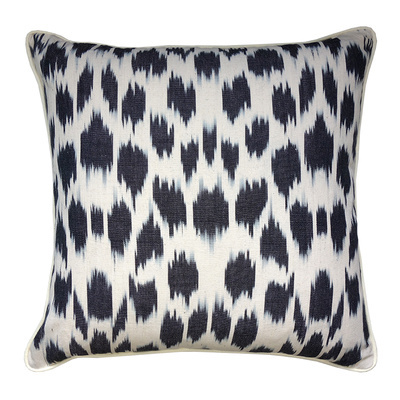 Digitally printed onto soft tumbled pure linen in a soft grey shade. 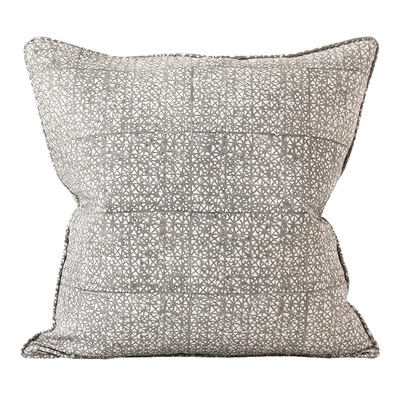 Reverses to a small cluster of petals and completed with a Mirissa gunmetal trim on two sides.